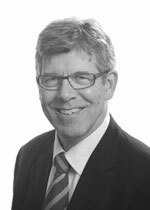 Tony Casswell is a General Ophthalmologist with special interest in the retina. He has wide experience of all forms of cataract surgery. He uses modern cataract lens implants that allow more advanced visual outcomes including the correction of astigmatism. He set up the surgical retinal facility in Brighton (at the Sussex Eye Hospital) and established the diabetic retinopathy screening programme for Brighton and Sussex. Following the NICE guidelines for the treatment of wet macular degeneration he has been lead clinician for developing the service. He carries out intravitreal treatments at the Nuffield for AMD, diabetes and retinal vein occlusions. Tony Casswell introduced the OCT (Optical Coherence Tomography) service to the Nuffield allowing the accurate monitoring of patients with retinal conditions (AMD, diabetes and retinal vein occlusions) and improving the management of glaucoma: both diagnosis and progression. Cataract surgery including correction of astigmatism, retinal diseases including macular degeneration, vitrectomy and retinal surgery, diabetes, glaucoma and general ophthalmology. Tony Casswell’s main clinical research is focused on retinal conditions. He is the lead investigator for the IVAN trial at the Sussex Eye Hospital. This trial is a national multicentre trial comparing Lucentis with avastin for the treatment of wet AMD. He is a co-investigator in the MERLOT trial. This trial investigates the efficacy of radiotherapy and Lucentis to reduce treatment frequency for wet AMD. He has extensive experience and publications concerning the investigation of colour vision in retinal conditions. Mr Tony Casswell does not hold a share or financial interest in this hospital, another Nuffield Health hospital or the company. Mr Casswell owns an OCT machine that is situated in the out patient ophthalmic consulting room at Nuffield Health Brighton Hospital. Nuffield Health Brighton Hospital is not involved with its use or billing. Mr Tony Casswell does not hold any paid advisory role(s) at this hospital or on behalf of Nuffield Health.